These presentation slides 44931 are complete compatible with Google Slides. Simple download PPTX and open the template in Google Slides. 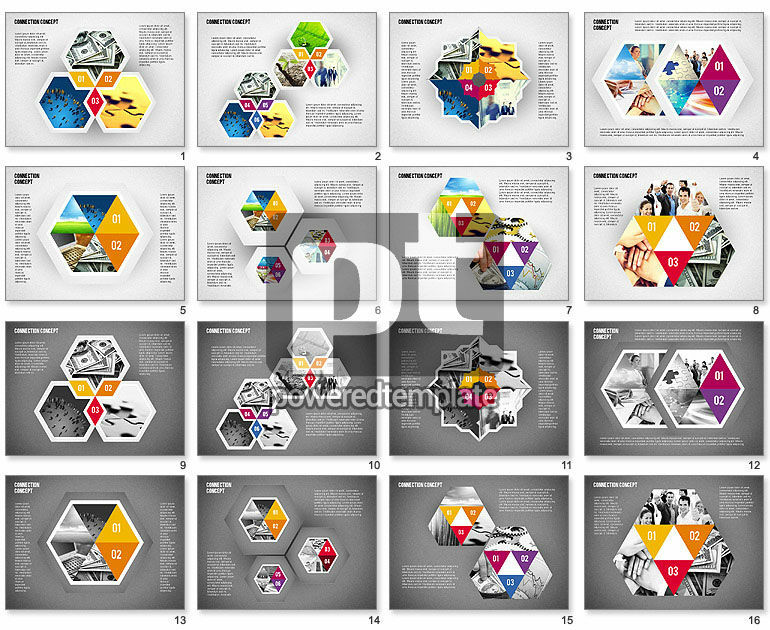 This tremendous template created in a cool geometrical style has hexagons with various photos, marked with numbers correlated between each other. You can use for presentations dedicated to various topics, from making action plans to team cooperation - in all variants it will look fantastic. Use this modern sample in business, network or media and your audience surely will appreciate it.